So many milestones! 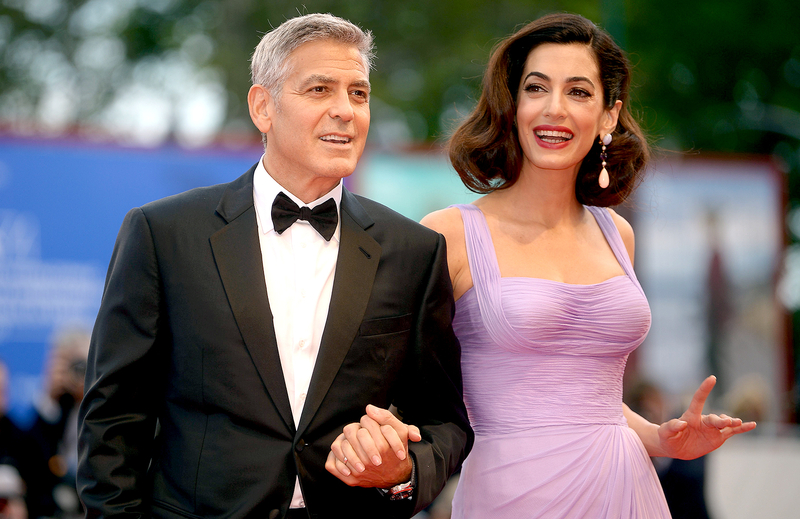 George and Amal Clooney‘s twins, Alexander and Ella, are just 12 weeks old, but they’re already developing their own characteristics. “They start out with a personality right off the bat,” the two-time Oscar winner, 56, told Entertainment Tonight at the Venice Film Festival on Friday, September 1. The couple, who tied the knot in Italy in September 2014, welcomed Alexander and Ella on June 6. Unlike many celebrities, they opted for traditional names for the babies rather than flashy monikers.